‘There’s two seconds of shaking and it’s all over. That’s two seconds per tree. When the walnuts are ready to be harvested, they are mechanically rocked from the trees, brushed into windrows and conveyed with sweepers and an elevator into the hopper. A tank-like machine, weighing tonnes and sounding destructive, is driven up to each tree where its long arms grab the trunk. Then the driver pulls a lever and the shaking begins. “It’s a good way to vent one’s frustration, I guess. The ground shakes and the trees certainly vibrate, but there’s no evidence that we know of to suggest there’s any detrimental effect on the trees,” says the walnut grower in the book, From Paddock to Plate. The outermost layer of a shelled walnut – the whitish, flakey part – has a bitter flavour, but resist the urge to remove it. It’s thought that up to 90 percent of the antioxidants in walnuts are found in the skin, making it one of the healthiest parts to consume. To increase the positive impacts on your health, look for raw nuts that are not pasteurised. The health benefits of walnuts include a reduction of bad cholesterol in the body, an improvement in metabolism and control of diabetes. Other important health benefits of walnuts stem from the fact that these nuts possess anti-inflammatory properties, aid in weight management, and help as a mood booster. They are also believed to slow down the spread of cancer. Walnuts have always been considered as “brain food”, perhaps because the surface structure of the walnut has a crinkly appearance like that of the brain. Due to this reason, they have been considered as a symbol of intelligence, leading to the belief that they actually increase one’s intellect. While this is not exactly true, recent scientific studies have proven that the consumption of walnuts does help in promoting brain function. They contain omega-3 fatty acids, which increase the activity of the brain. Simply put, eating walnuts may be one of the easiest things you can do to improve your health. 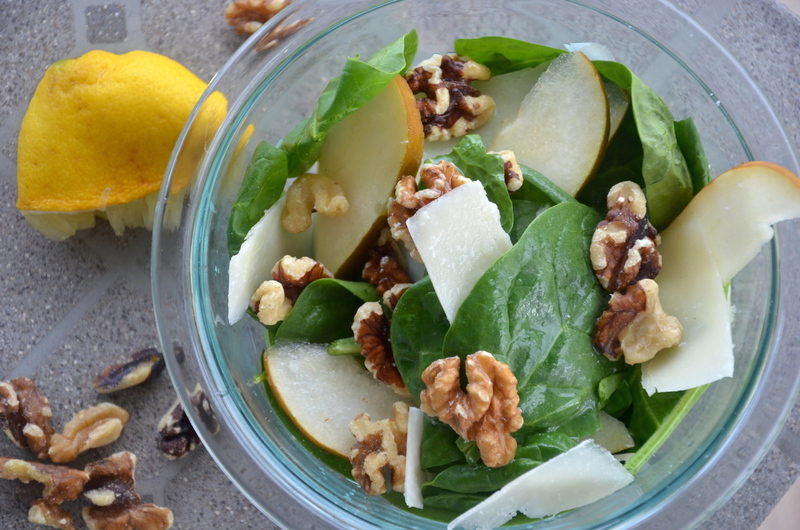 Looking for a delicious walnut salad recipe that combines crunch with juiciness and savoury with tart? Click here for the RECIPE.